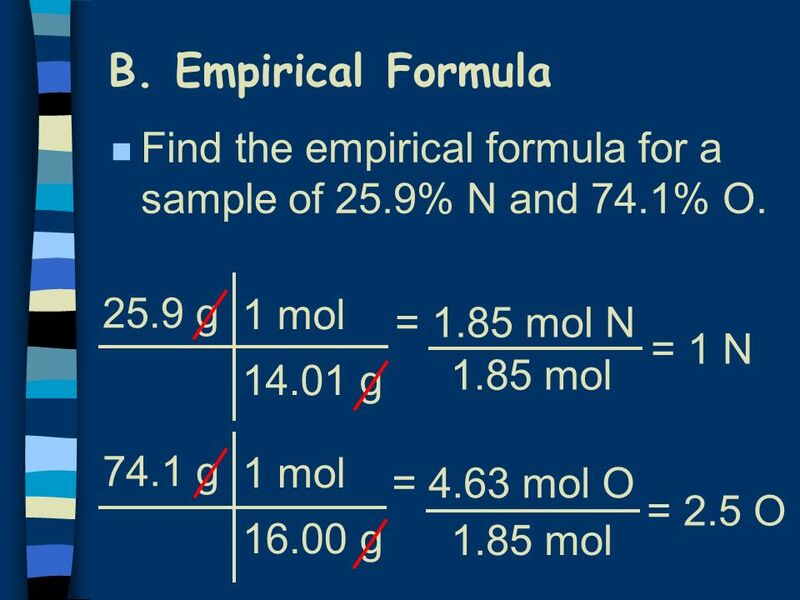 9 B. Empirical Formula 1. 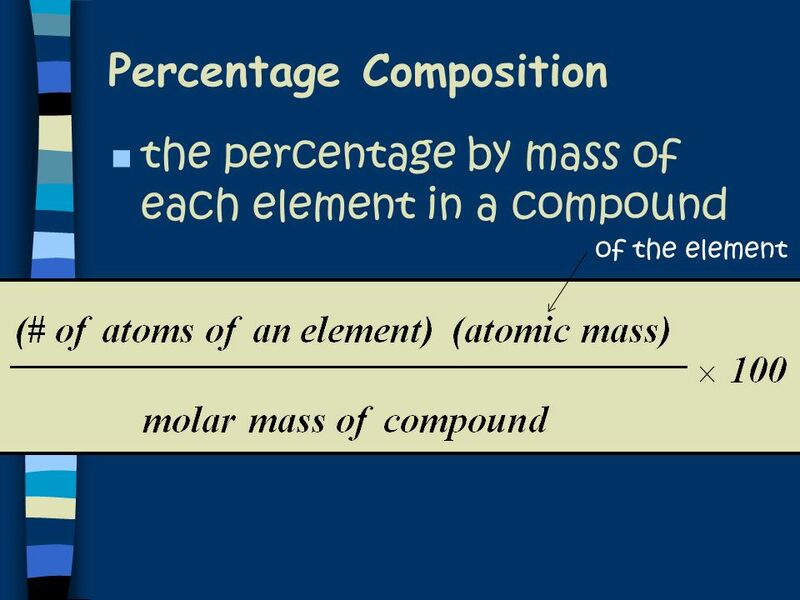 Find mass of each element. 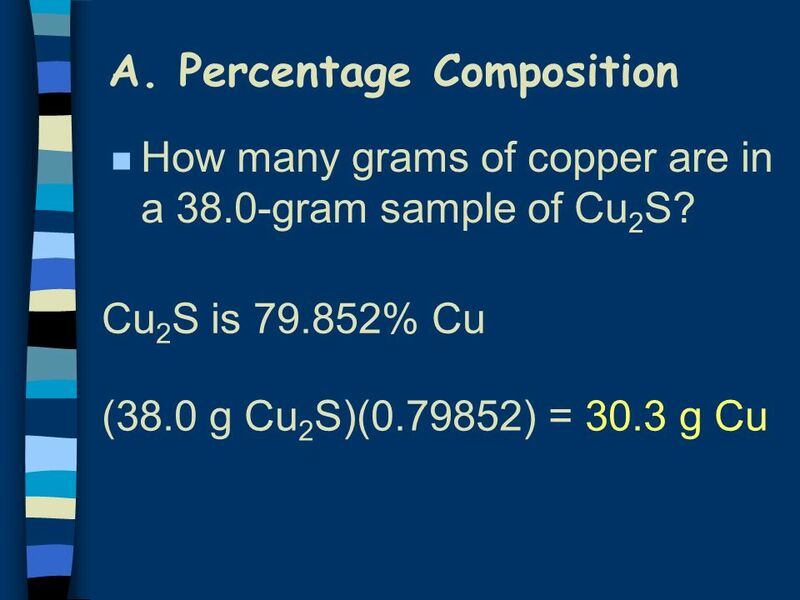 If have %, then assume out of 100 grams. 2. 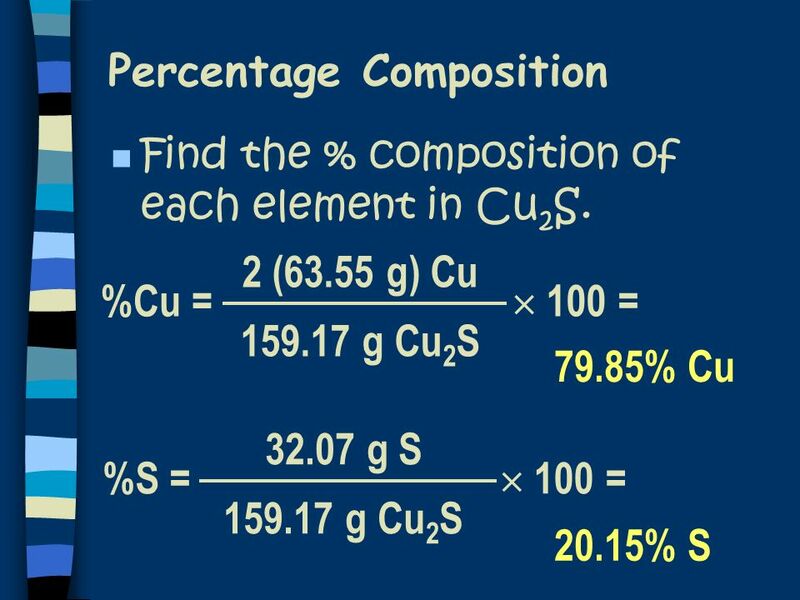 Convert the mass to moles of each element. 3. Divide moles by the smallest # to find subscripts. 4. 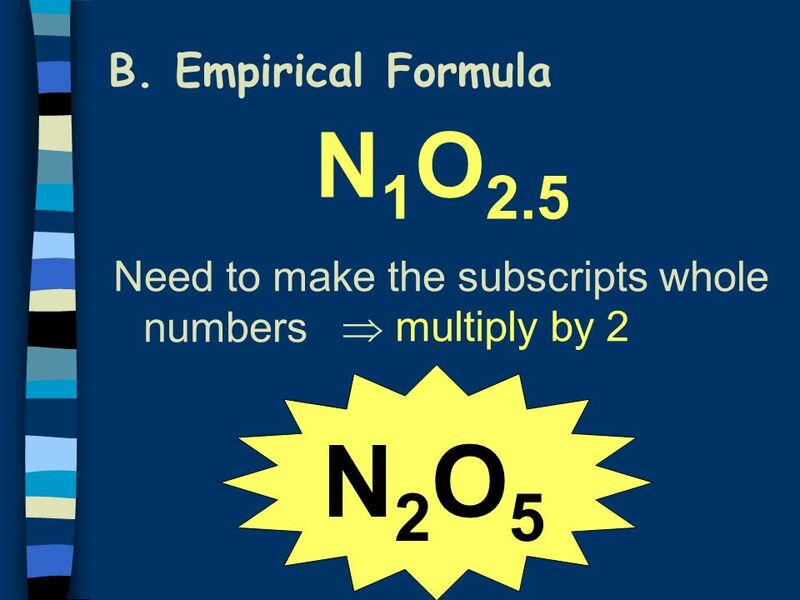 When necessary, multiply subscripts by 2, 3, or 4 to get whole #’s. 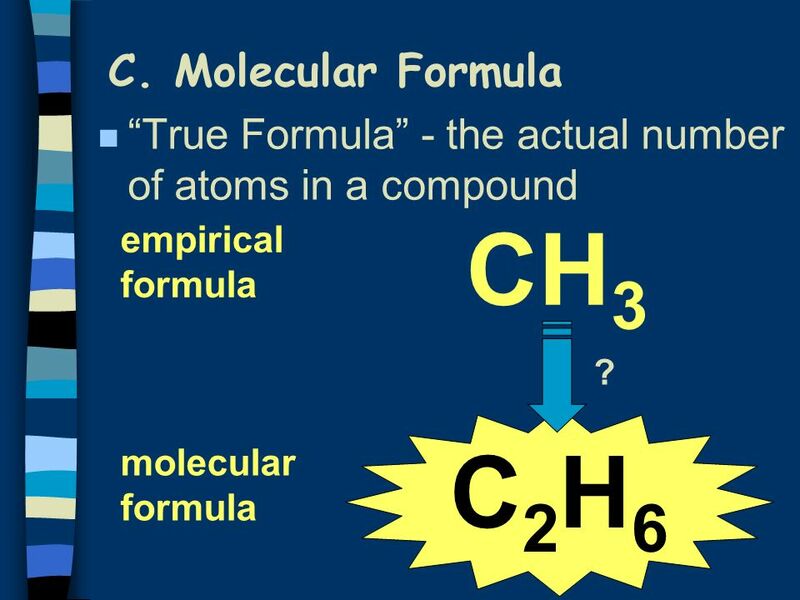 13 C. Molecular Formula 1. 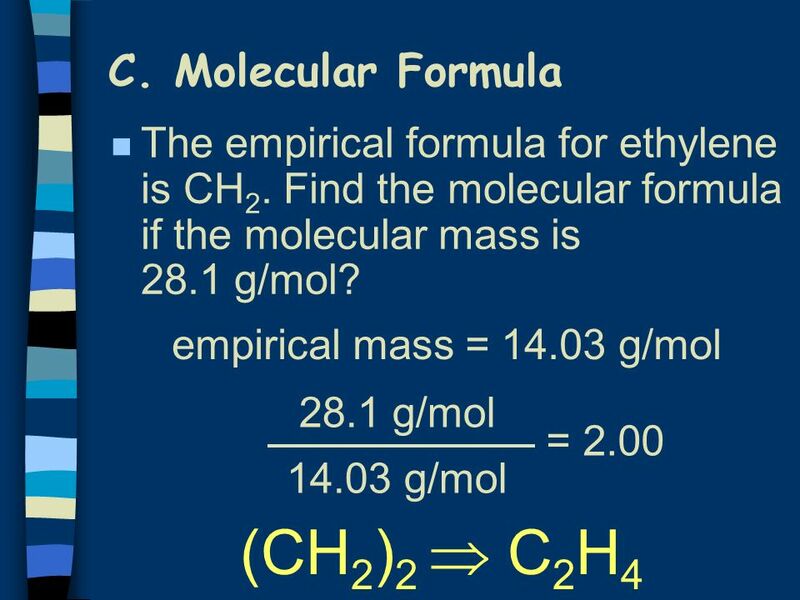 Find the empirical formula. 2. 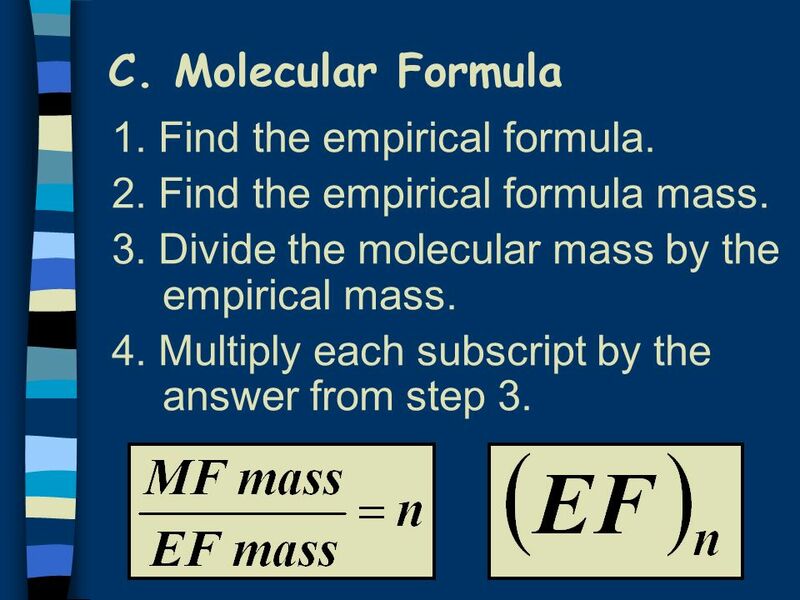 Find the empirical formula mass. 3. 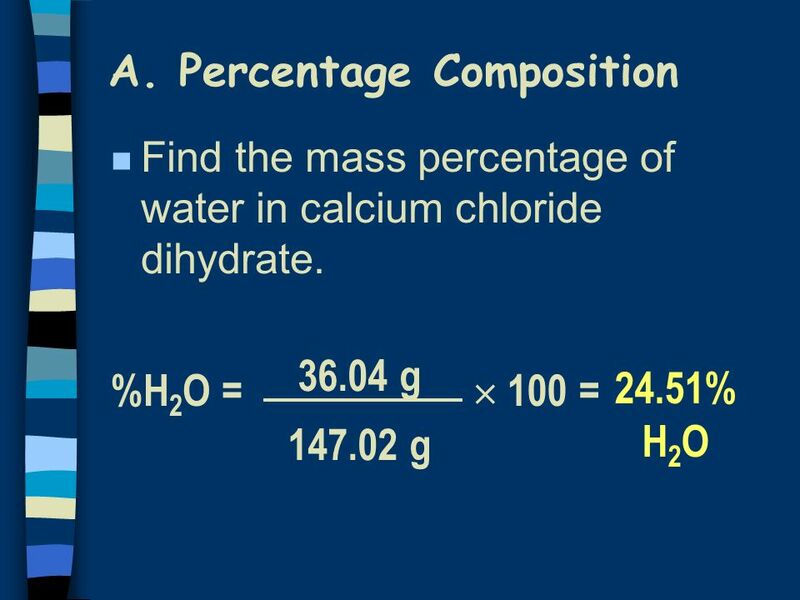 Divide the molecular mass by the empirical mass. 4. 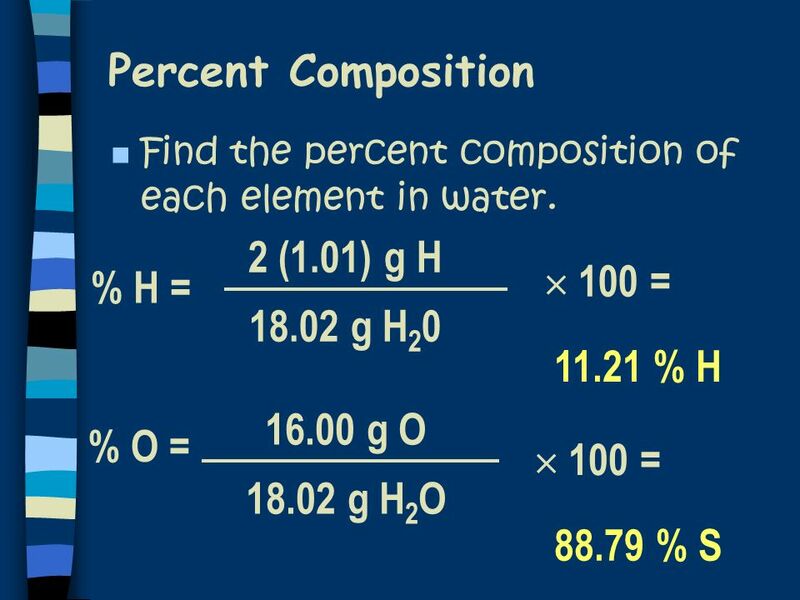 Multiply each subscript by the answer from step 3. 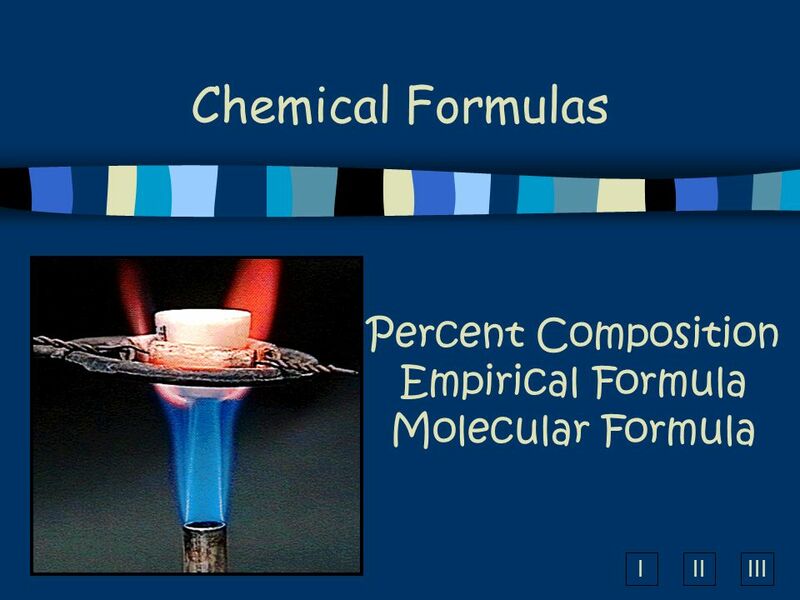 Download ppt "Percent Composition Empirical Formula Molecular Formula"
Ch. 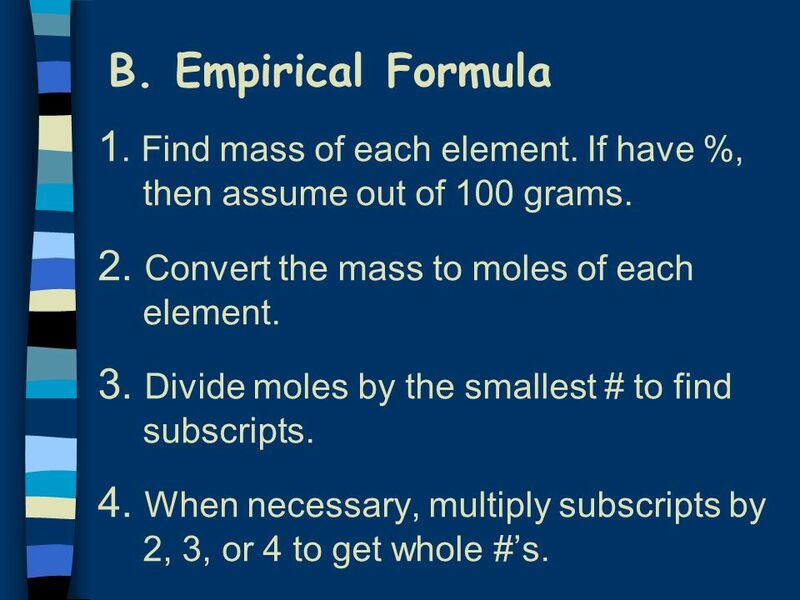 7 – The Mole Formula Calculations. 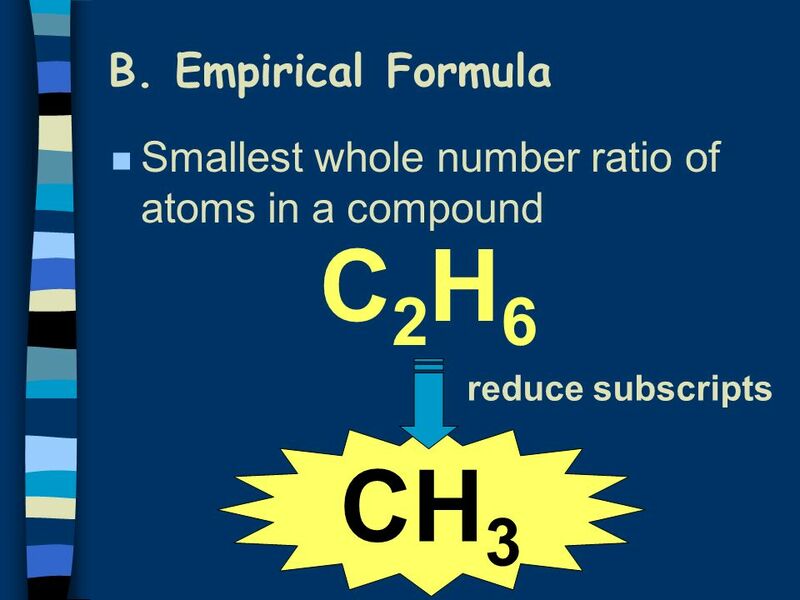 Empirical Formulas Compare the following compounds: HgO vs. Hg 2 O 2 C 2 H 6 vs. C 4 H 12 Empirical Formulas: Lowest-ratio formulas What do the subscripts. 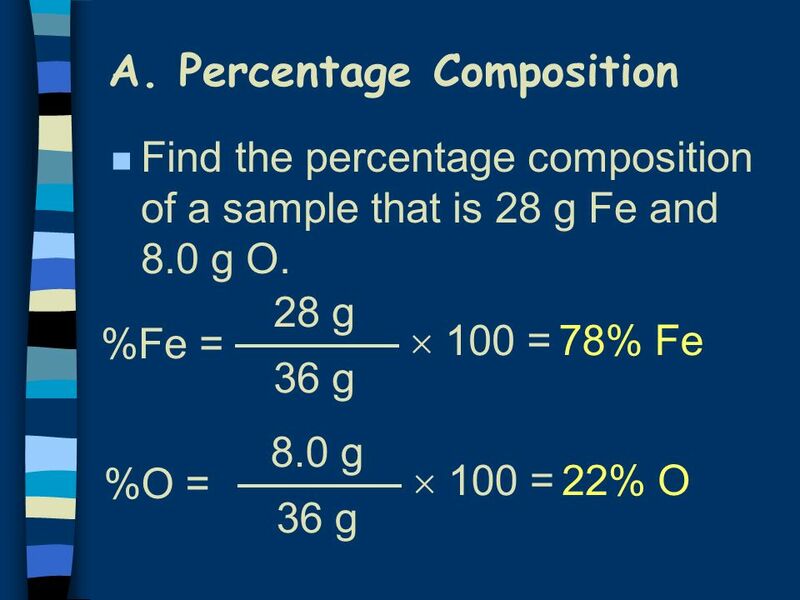 What is the % composition of carbon in benzene (C6H6)?